August’s GlamEgo box has been extremely generous to its subscribers by giving them a face cream that is love at first sight, literally. 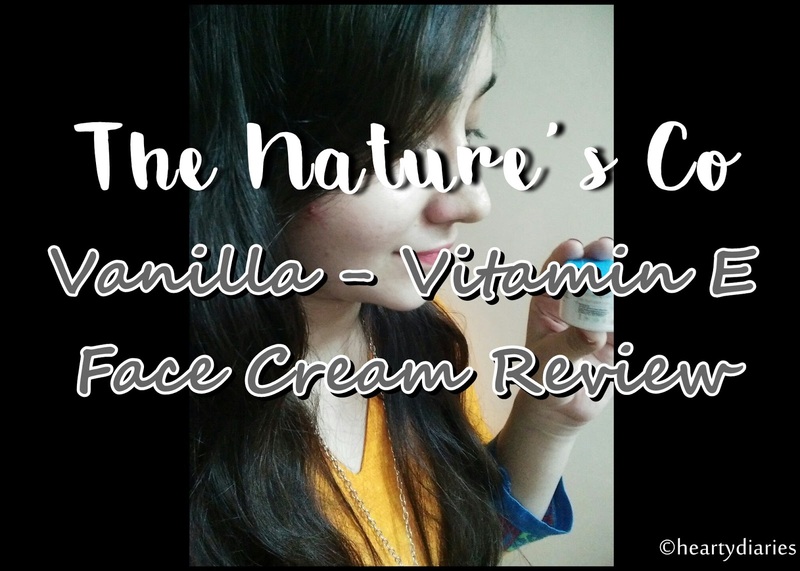 Today I am going to review the Vanilla – Vitamin E Face Cream by The Nature’s Co which is made exclusively for GlamEgo Box.. A face cream boosts the skin’s hydration, makes it nourished and is ideal for everyday application, especially for people who come from the dry skin family. Anyone there? They are meant to provide necessary moisture to the facial skin giving it a radiant and refreshed complexion without making it feel heavy. Everyone loves to get up with a plumped and glowing face in the morning. However, a good face cream is very hard to find and requires a lot of trials and errors to finally settle down for one which really works. 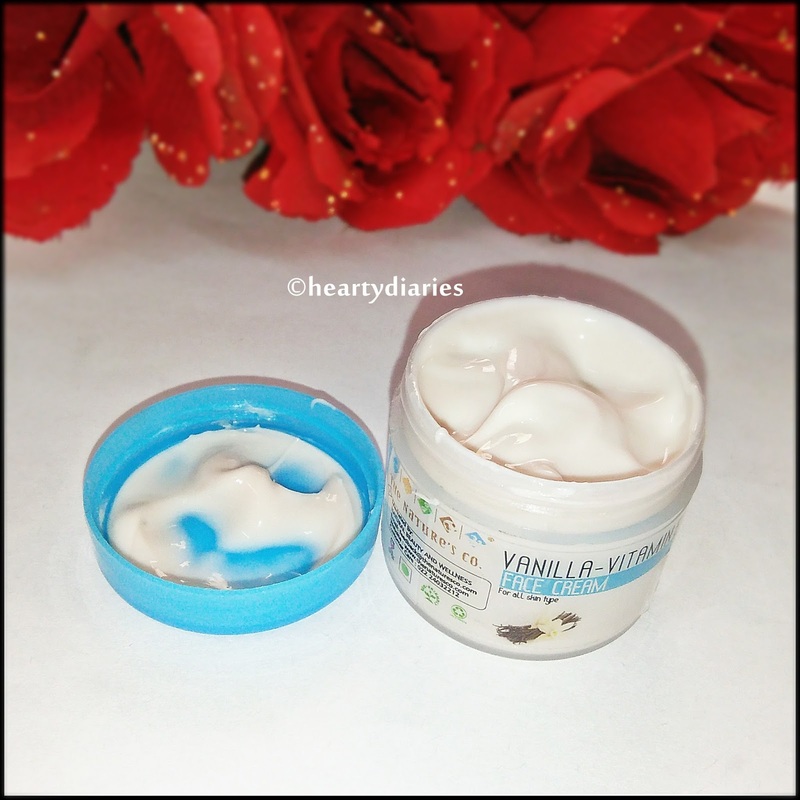 Please keep on reading this post till the end to find out my experience, opinion and final verdict about this product so that you can decide whether this face cream is worth your precious money or not.. But before that, please take a minute out of your valuable life to write a “testimonial” or “comment” for me using your Facebook account here as I really need it to win The Indian Blogger Awards 2017.. 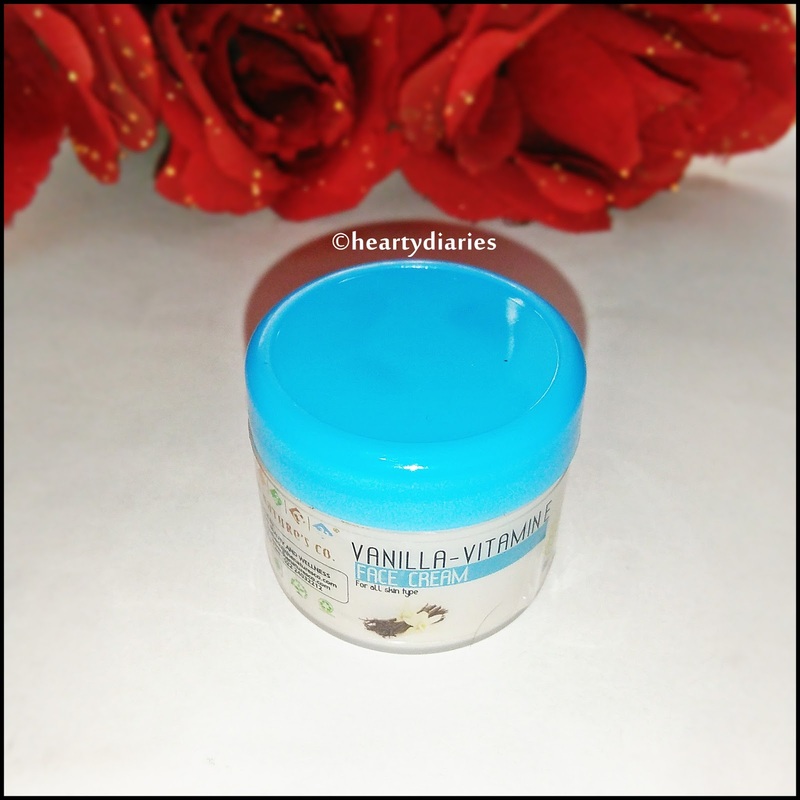 Product Description: Wear a youthful glow with this Vanilla-Vitamin E Face Cream. Its excellent antioxidant and relaxant properties will help do away with dead skin while keeping the skin soft, supple and firm. Enriched with Natural oils, Vitamins and Butters, it helps enhance blood circulation in your face and restore freshness by lightening dark spots and reversing signs of ageing. Directions of Usage: Smooth a small amount over clear, toned skin as needed, using gentle upward strokes and see it take years off your face. Ingredients: Vanilla, Almond Oil, Jojoba Oil, Wheat Germ Oil, Vitamin E, Coco Butter, Kokum Butter, Cream Base, Aroma, Natural Preservatives, Q.S. Vanilla is the best ingredient for a youthful skin and B-vitamins in it maintains the skin healthier. 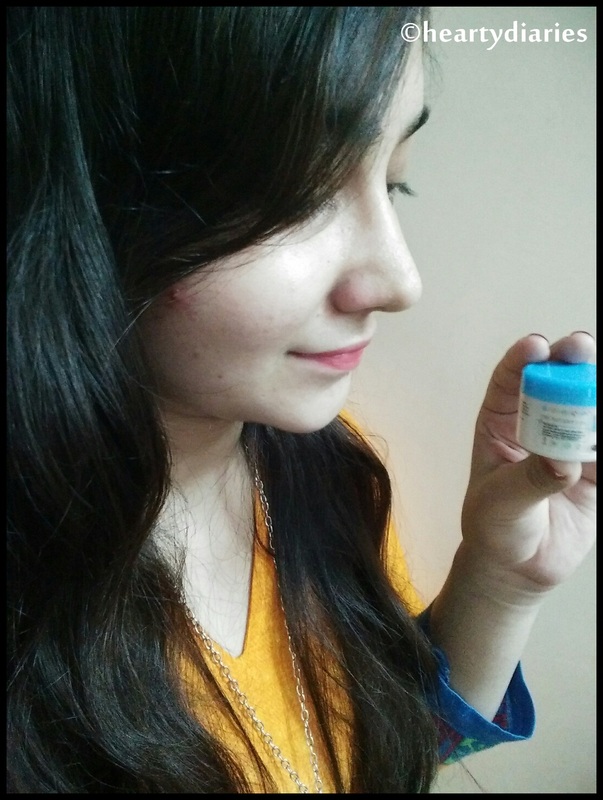 Packaging: This cream comes in a transparent, plastic tub with sky blue screw cap and detailing. The overall packaging is sturdy, spill proof, light weight, small and travel friendly but I do not prefer tub packaging at all since it is unhygienic. I don’t feel like dipping my fingers in it and atleast demand a spatula inside. Texture and Consistency: This cream is off white in color; very rich in texture and thick in consistency but it is not at all heavy or greasy. My Experience: Coming from the Oily skin family, I don’t really moisturise my face with a lot of creams and simply go on with a very light weight, water based moisturiser, that too sometimes! What made me fall in love with this cream at first sight is its simply amazing smell. It smells just like Vanilla and I feel like eating it each time I unscrew the cap. I take a little amount of product on my fingers and gently rub it in between them so that the ingredients are activated by my body’s temperature. Then I gently massage it into my skin using small, upward, circular motions. It spreads on the skin evenly without much effort, gets absorbed within seconds leaving a matte finish behind. It doesn’t feel heavy at all, leaves no oiliness or shine and feels quite refreshing but for an excessively oily person like me, it is not that matte which I don’t complaint. That’s totally my skin’s fault! I love to use it as a hand cream and keep on smelling my hands again and again whenever I apply it. I am a very sweaty person but it still doesn’t make my palms sweaty or greasy which I really appreciate..
For people with normal to dry skin, it is an amazing product but for those having oily skin, it can be an amazing hand or foot cream and would be ideal for winters as well. I love its non greasy texture, the overall feel and love to reapply it just for the smell which is not at all overpowering and remains for around two hours. In terms of total results, it works quite effectively, moisturises the skin well but as for the dark spots lightening factor, I don’t think it lives up to those claims. Yes. I am overall very satisfied with this product and would love to buy it again.. Yes. You will love its overall result, feel, texture, smell, hydration and everything, so I recommend you guys to try it at least once.. Yes. Although it is quite expensive for the quantity offered, it works well and is worth the money. My Advice: Never drag a cream on the face in downward motions. Final Verdict: This product has successfully made a nice impression on me and I love everything about it except for the tub packaging. I wish the next batch has an improved packaging like a tube or a pump. The smell of vanilla attracts me too! ? Have u tried it yet??? For oily skin brats, its little disappointing.. This sounds nourishing and good for winters. Its my pleasure and thank you… ? Vanilla's smell must be very tempting! I have oily skin so this will make a great body butter or a foot/hand cream.